• For Hourly Photography, I'll will spend two to four hours getting to know your project, so I can understand your design concept. Together, we'll brainstorm and share ideas for shots and angles, and we'll collaborate on styling as well. • For Flat Fee or Interior Photography Packages, I'll spend 30 minutes to an hour with you while discussing your design challenge and ideas, all the while consulting on styling and planning the shoot. Here's an example of a pre-production report I did for an hourly photography project. The designer and I toured the project and did a thorough job of styling consultation and logistical planning. The project was published in California Home and Design Online. Thanks for taking the time to meet with me yesterday. 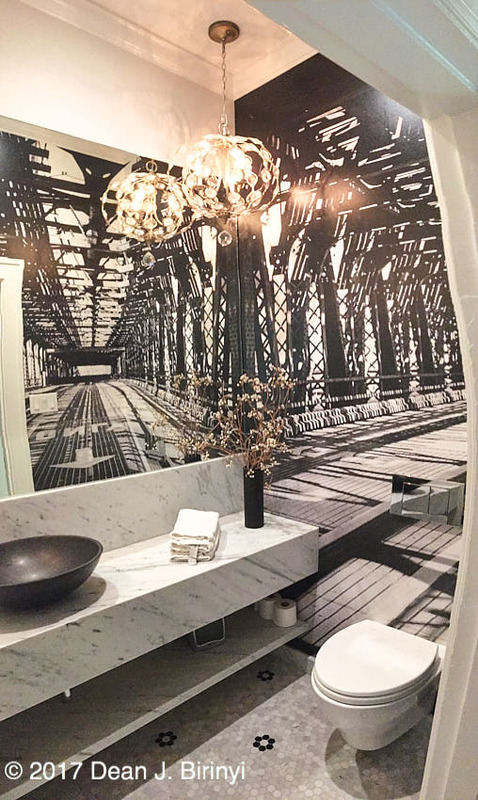 I like the second shot of the powder room. I feel the form of the light fixture is conceptually consistent with the shower tile in the master. 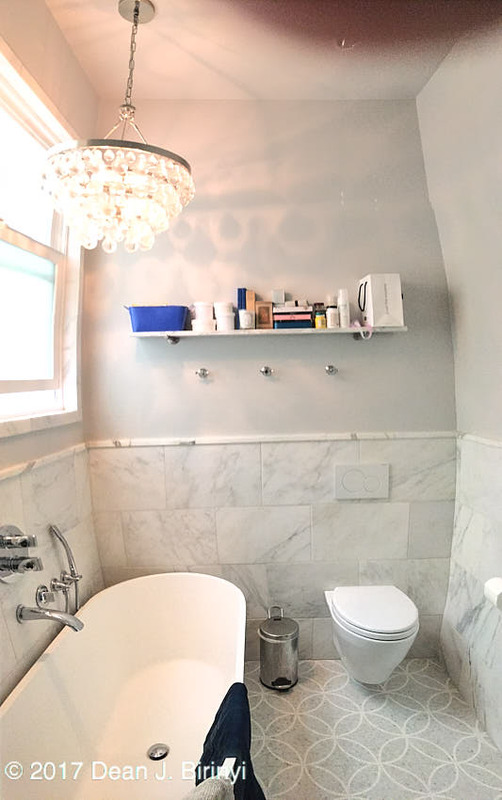 The medicine cabinet in the powder room and the guest bath, as well as the lower shelf concept and tile pattern are connecting elements that tie the two spaces together. The marble unifies the three spaces. 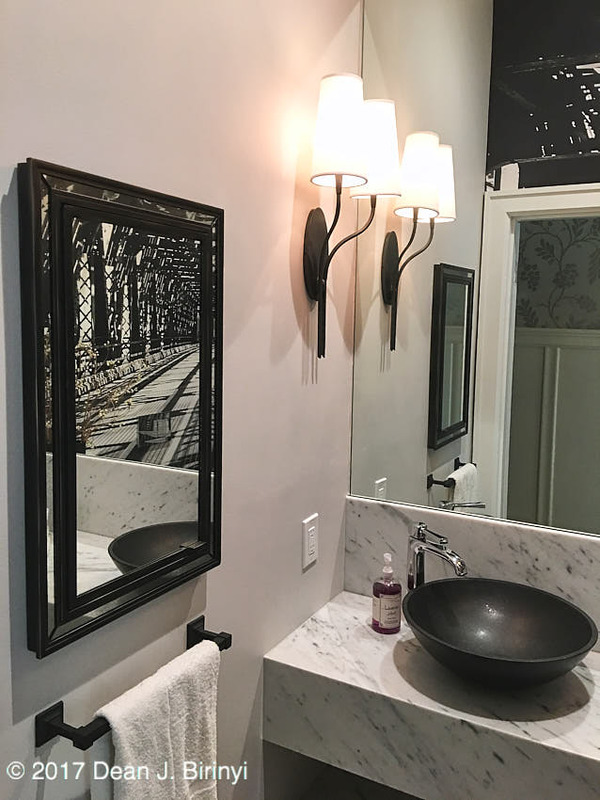 The form of the powder room’s light fixture is conceptually similar to the tile pattern in the master bath and helps connect the two spaces, yet but the master is very strong and stands alone quite nicely. I was pleasantly surprised by the "mass" of your plumbing fixtures. Their design is unique, and they made me see the room through different eyes. I’ll write the proposal in such a way to easily include or exclude the girls's bath and the second shot of the powder room at your discretion. However, as I said, I feel the three bathrooms would present very well as elements of a larger piece of work, both for your book and for submitting to publications. We should talk about your publication strategy next week when we discuss your presentation. 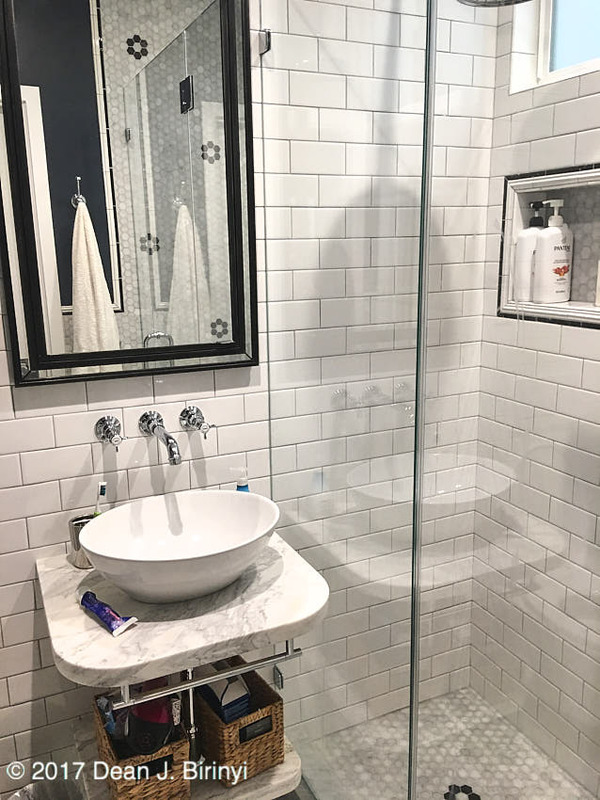 I’ve been giving your bathrooms a lot of thought over the past few days, and I have some ideas that I want to share. I sent you a note regarding my first impressions last week. I feel these three spaces are so well connected that presenting them “all of a piece” as different elements of a larger composition would be a good idea. I asked you to think about this concept and would love to hear your thoughts before committing to a final shot list. I had originally thought we should create three images in the master: two one-point perspectives and one two-point. If we are going to submit for publication, I feel we should create a fourth image, a two-point perspective towards the tub. This will give magazines more material to work with. Working hourly I estimate the cost to create the two images needed of the powder, four of the master and one of the girls would be $850. To shoot only the Powder and Master would be $775. As long as you’re “raising your game” with a new website, I would like to advocate that we focus on getting you some press. Editorial publication gives us both a decided market advantage. There's a catch to editorial submissions. The magazines require the exclusive opportunity to reveal your talent and brilliance to the world. So, neither you nor I can put the images on our websites, Houzz, Yelp, or even in email form until after the project is printed or declined by the publication. It can take months to get a definitive acceptance, but publishers usually decline within weeks. There are two venues to pitch this project to: Traditional Home and California Home & Design. Traditional Home has both a “Rising Star” feature and “Small Spaces” feature during different times of the year. I think you and your work would be a good candidate for either. You would be a good candidate for CH&D's “What’s New in Kitchen & Bath” feature in their Fall issue. We would need to shoot as soon as possible and submit ASAP for this one. I would like to submit your bathrooms to CH&D, whether even if we shoot only the master and powder room. If CH&D declines, then I'd like to submit them to Traditional Home. Please review the numbers, license, payment terms, and T&Cs on the following pages, and let me know if you have any questions.